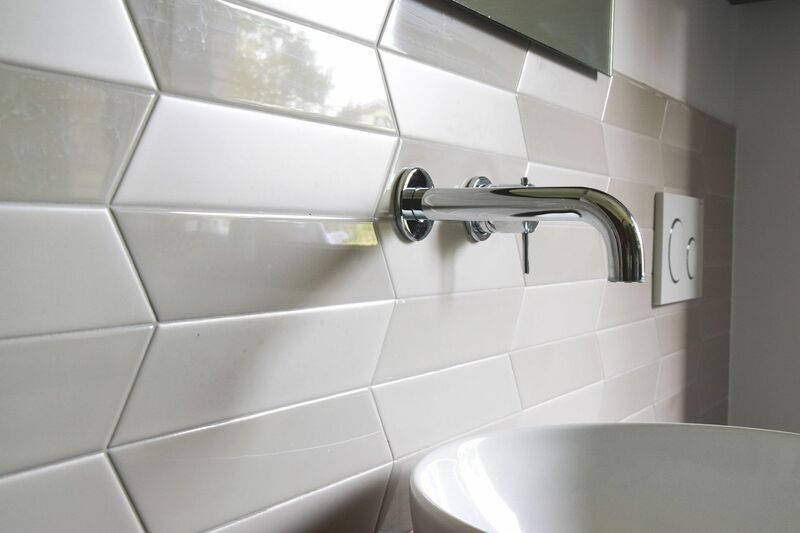 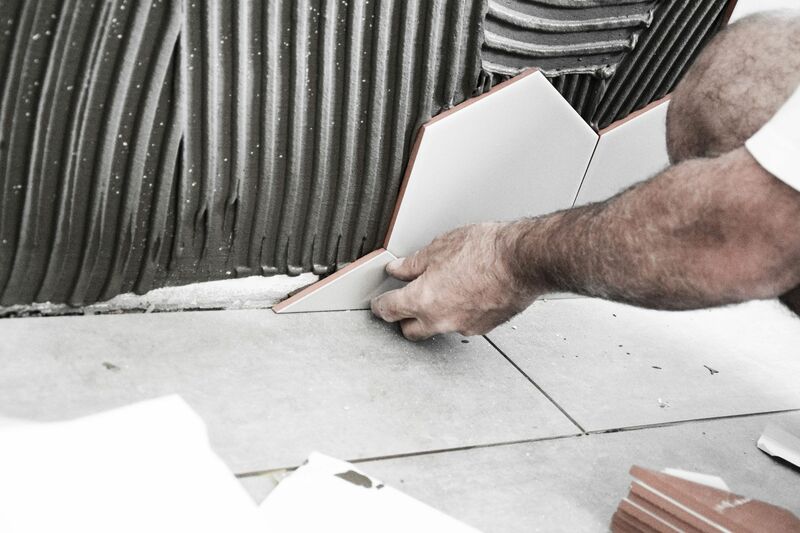 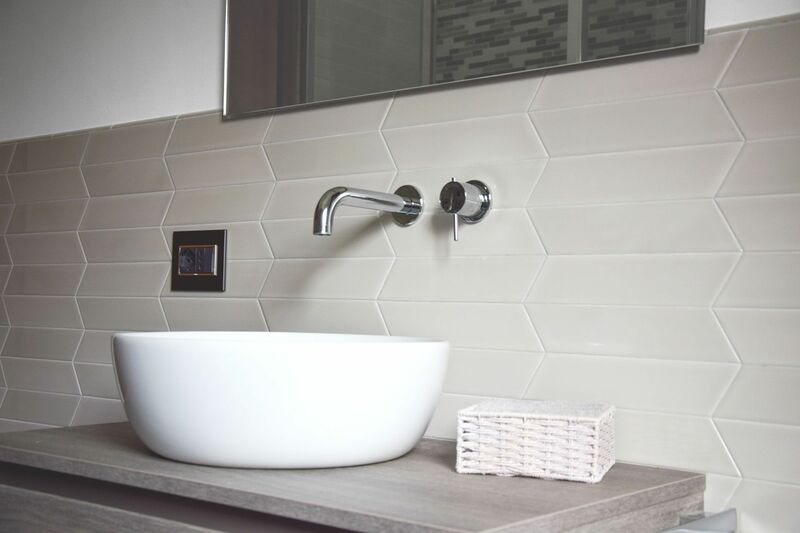 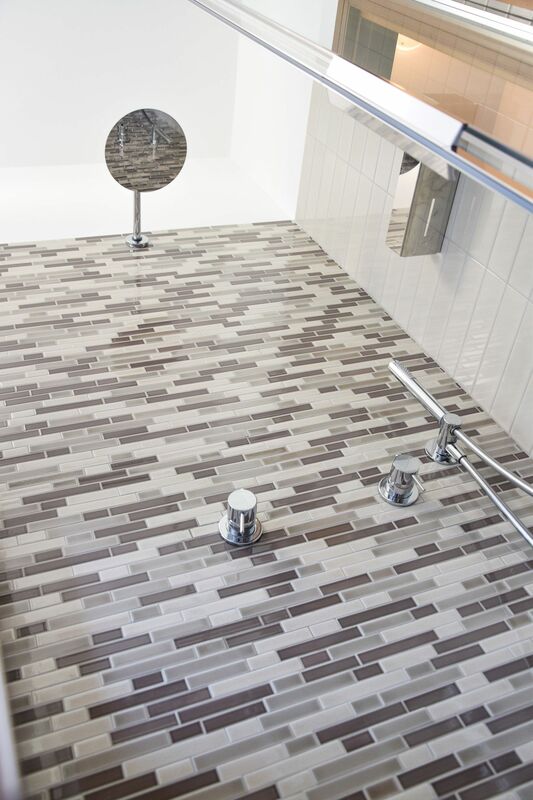 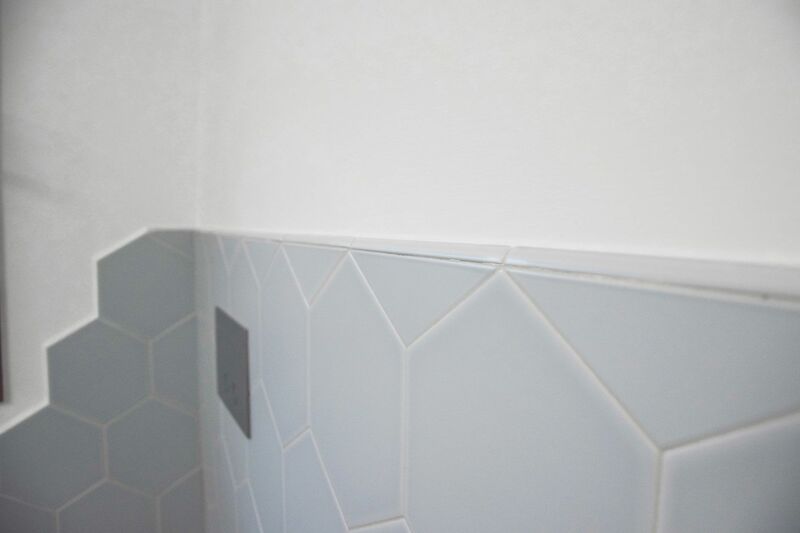 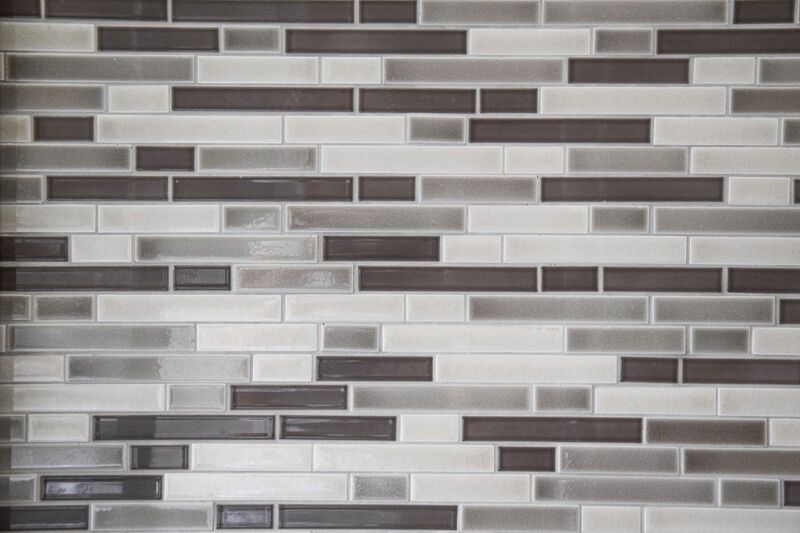 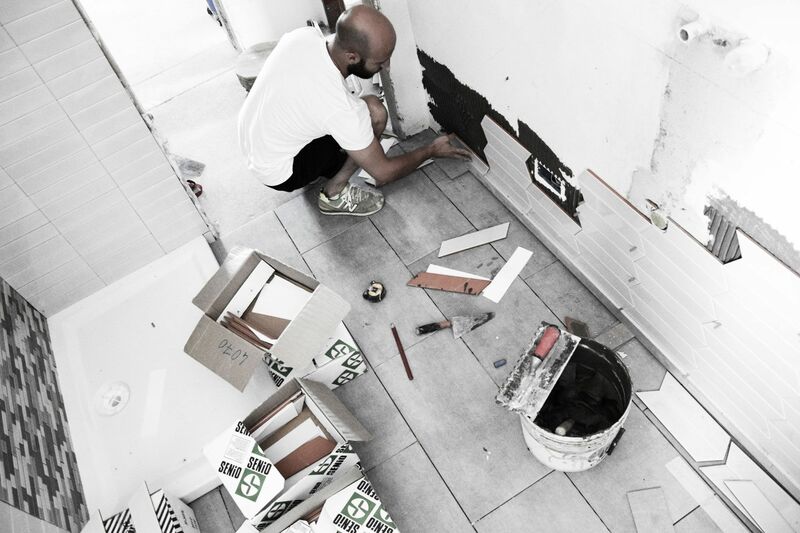 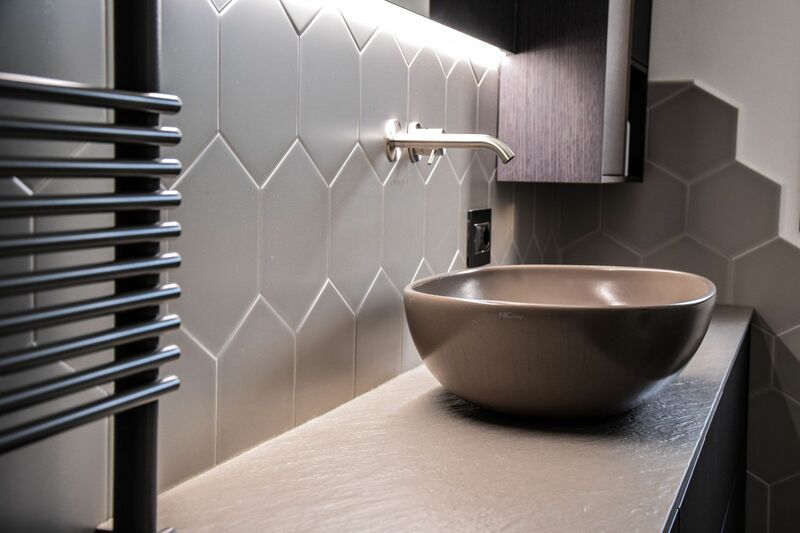 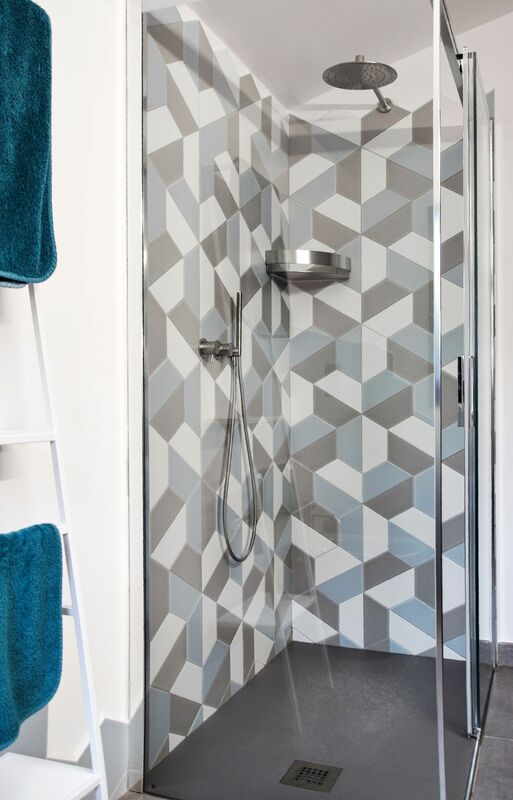 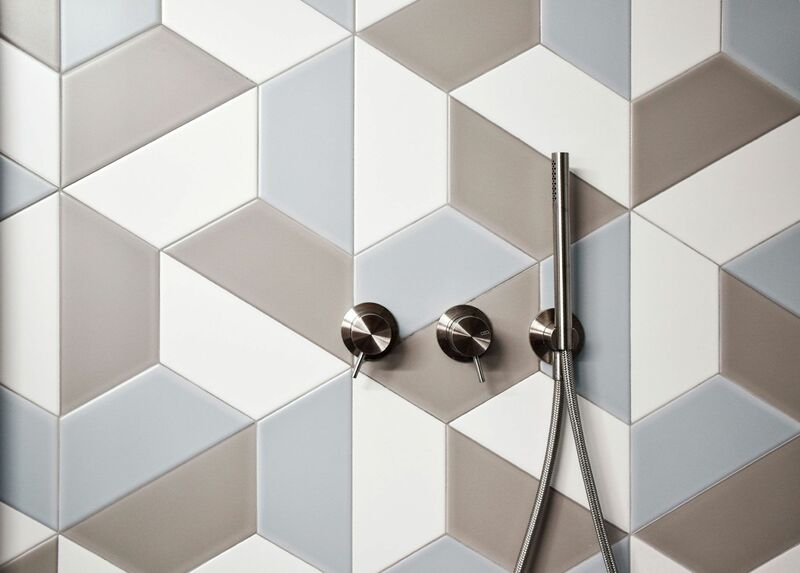 2 bathrooms, 7 different sizes of tiles… Chevron, Hexagon, Half Hexagon… !!! 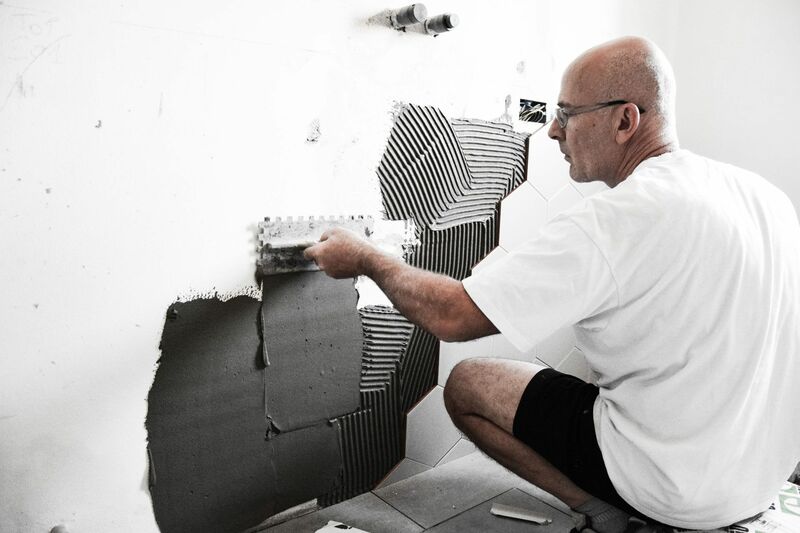 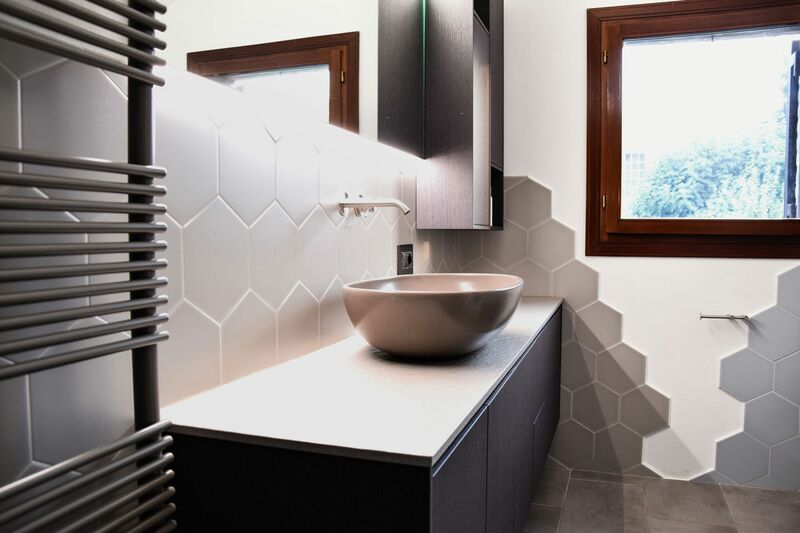 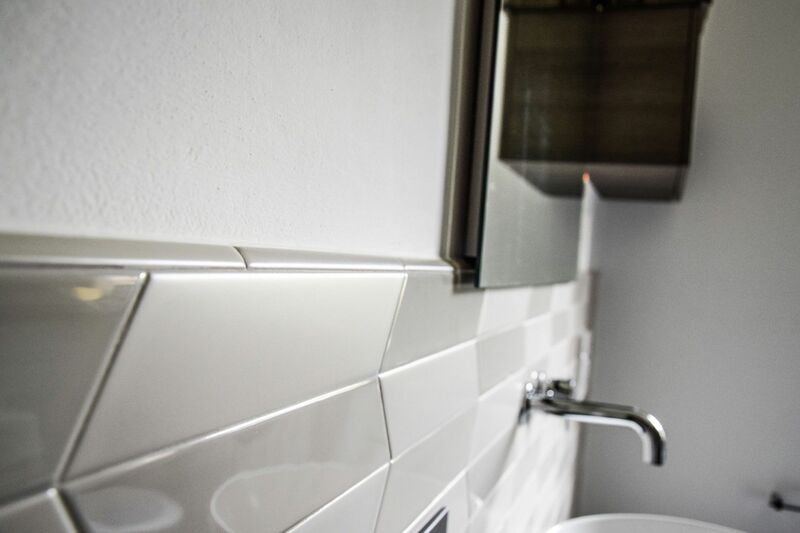 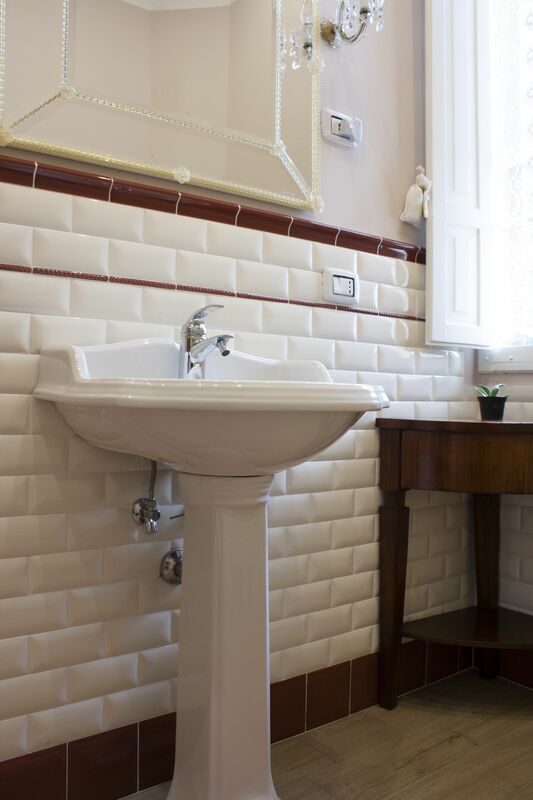 We really enjoyed designing Roberto and Antonella’s bathroom, husband and wife, lovers of design and geometry. 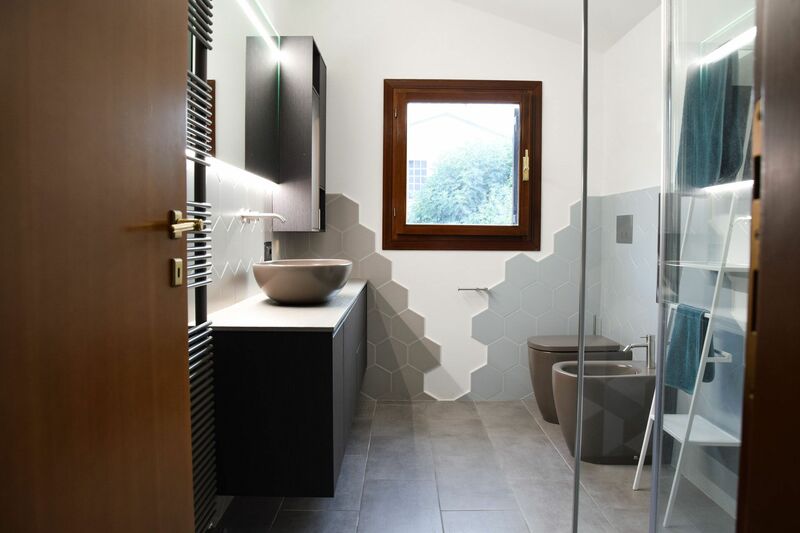 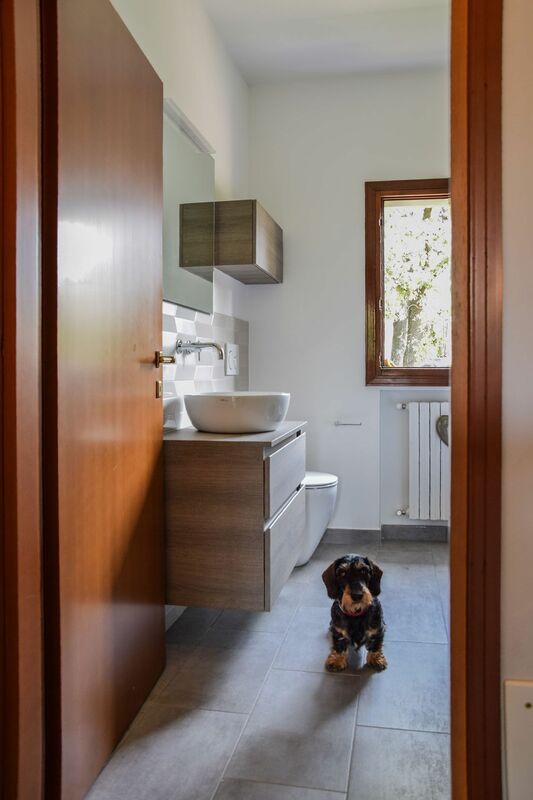 Both bathrooms are characterized by a modern style in which the play of sizes and the combination of mat and glossy surfaces characterize both covering and bathroom furniture. 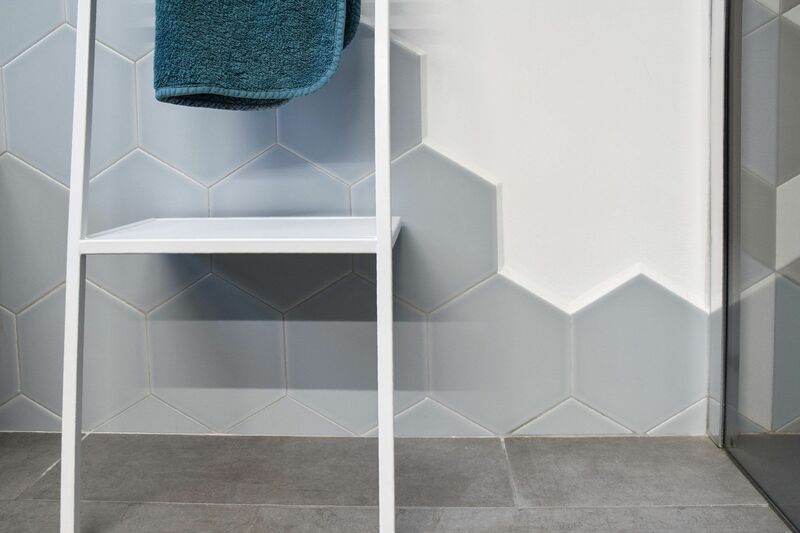 The collections used are CHEVRON and NEWPORT cm 6.5×26 – 2,5”x10” for the living area bathroom and the LUNA hexagon 20×23 cm – 8”x9” for the master bathroom. 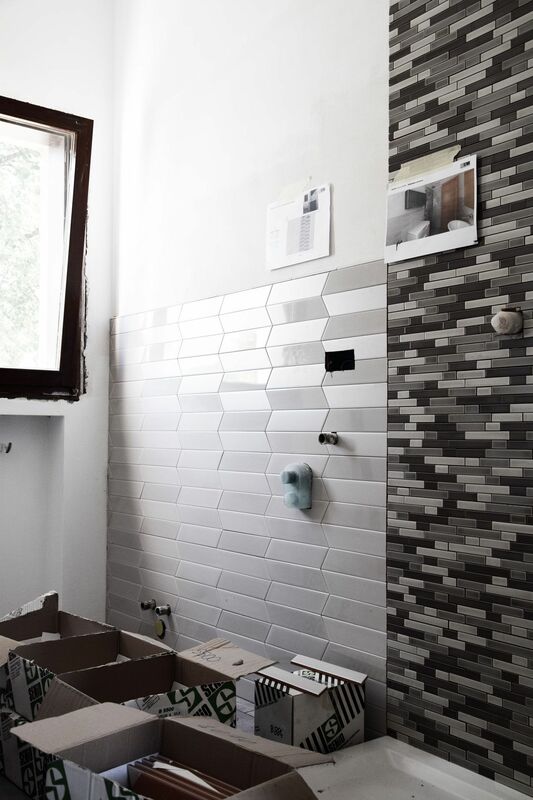 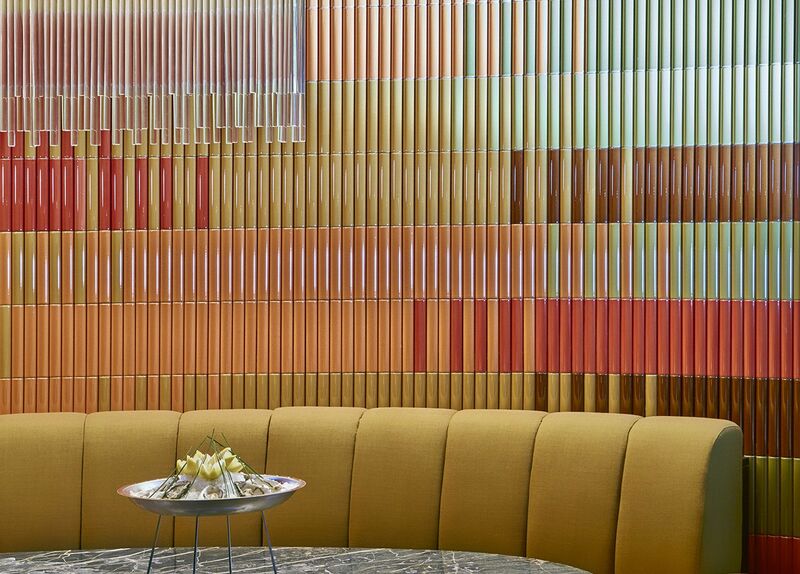 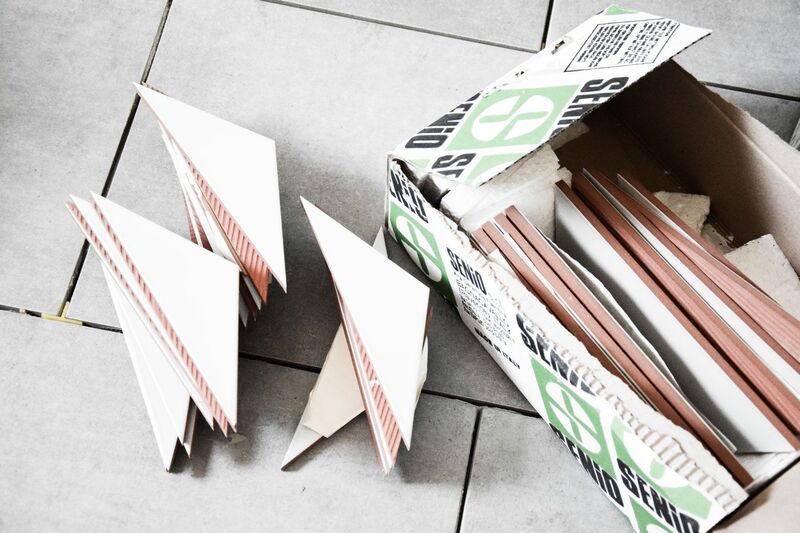 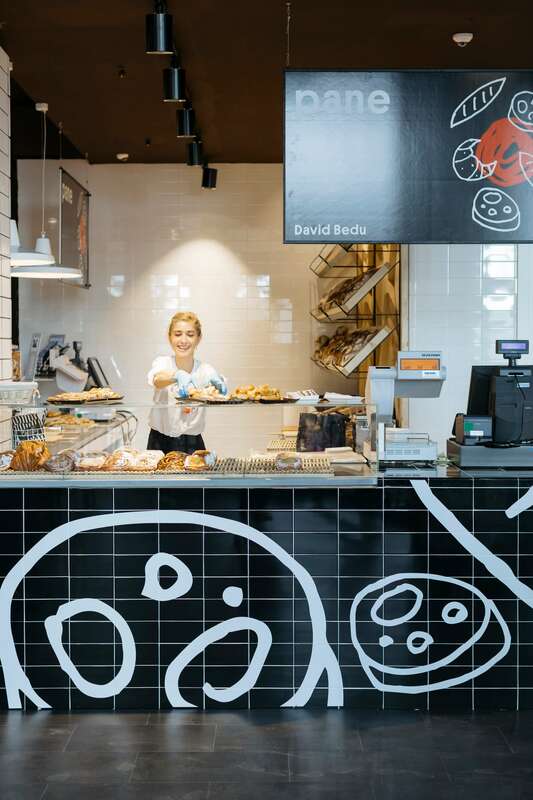 The original concept was creating a creative layout by mixing surfaces, using special formats with neutral colors… The result was really amazing!